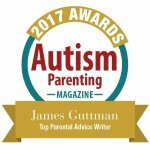 Autism Is Not His Excuse – Hi Blog! I'm Dad. What is not said, but understood, is the last part of that statement which would be, “…because he has Autism.” After all, that’s his out. Others won’t question it and he gets to escape from whatever he doesn’t want to do. With this built-in excuse, Lucas can stay in his own little world without even making an attempt to try. I’ve seen people use Autism as an excuse for a variety of reasons. Whether it was a Hall of Fame wrestler using it to deflect criticisms that his adult son directed at the WWE online or a girl making a political statement and then declaring herself immune from bad responses because she’s “on the spectrum”, it always makes me cringe. Using it as a casual justification cheapens what Autism is in the eyes of those who aren’t regularly exposed to it. It’s just my person opinion, but there seems to be more than a few people who think that being on the Autism spectrum is a Get Out of Jail Free card. For my son, who would be well within his rights to play that very card, that’s not an option. We never use Autism as an excuse to get out of doing something, only as a reason why something outside his control might have affected someone else. For example, if he shrieks in the middle of Olive Garden or sneezes into the air rogue-elephant style and hits everyone in a ten foot radius, some sort of explanation might be needed. That’s not excuses, that’s just common courtesy. I wish I could sit down and tell him the differences between the two. Just like his sister, my goal is to make Lucas into the strongest person he can be. Anyone can do anything to the best of their own ability. He might not be the greatest at everything he attempts, but he can always try. There’s no way to verbally ensure that he gets that lesson. I don’t know if he would understand what it means if I told him and, even if he does, he wouldn’t really be able to express it to me. So I teach him these big picture lessons through small picture moments of participation. Lucas doesn’t sit out of something unless there is reason besides “he just doesn’t seem to care.”. We have him pet a puppy if all the other children are taking turns. We tell him to give hugs to thank people for presents he might be indifferent too. When it comes time for him to color something or sign his name, we guide him hand-over-hand with the crayon, even when he’s busy staring away at something across the room. Everything we can have him do, we do have him do. The fact that he has Autism or might not understand why he needs to do these things doesn’t prevent him from trying. I want to be able to sit down and ask him, “You get this, right? You’re going to stand tall, defy expectations, and always do your best?” Unfortunately, I can’t, but that’s not as bad as it sounds. He shows he understands through his actions. Ever since Lucas was a baby, I’d sing to him. We all would. I changed the words to pop songs or nursery rhymes to make them about taking a bath or his squishy face. I did the same for his older sister. I know they liked it, but it was also about me. When you have the same monotonous nighttime routine over and over, there are times when you have to sing out loud to prevent yourself from diving out the window. My son has never shared a desire to sing these lyrics with me. Sometimes he’ll examine my mouth, but never in a way that implies he might try on his own. Sure, he’ll copy a waved arm or a head tap, but language, for whatever reason, just isn’t on his radar. So, at a young age, I started trying to get him to repeat a high pitched melodic “ahhhh”. He’d laugh and, for a little while, would do an “ahhhh” of his own. Soon enough, though, he tired of that game and, a while back, it came to an end. Then, recently, while on the computer, I heard a familiar tone from the couch behind me. I looked over to see Lucas holding his big blue iPad up to his face as the Youtube Sesame Street Song playlist serenaded him with tunes about the letter E. And there he was… singing along. Words may have been outside of his reach, but he could manage a rhythmic chant along with the music. He wanted to sing along and, even with no verbal skills to offer, he did. Look, I know that it’s easy to eyeroll when you read someone says that they were “inspired” by their child’s “courage”. I’m not big on looking for angels in the outfield, hidden rainbows, or other flowery platitudes. So I get it. But let’s get serious here for a second. My non-verbal son, who literally says no words at all, wanted to sing along to his favorite songs, so he did. If that’s not inspiration, then I don’t know what you would call it. It amazed me then. It amazes me now. It amazes me every time I think of it. This kid blows me away. No one made him sing. No one bribed him with a toy or promised him cake. No one had to do anything except Lucas himself. He made himself do it and he did it to the best of his ability. In that moment, I knew I had succeeded. He gets it. In a world where everyone would happily let him revert into his own little corner, my son won’t let his Autism be the shackle that prevents him from trying. We taught him that. He learned that. Today, he lives that. Autism will never be his excuse. He’s singing today and I know that with an attitude like that, tomorrow he’ll soar.